A fun soap idea for car and truck lovers of all ages! Our Monster Truck tire soap is so much fun - and you'll love all the detail! Weighing in at 4 ounces and measuring 3" in diameter, this makes THE perfect gift for the Monster Truck fan! 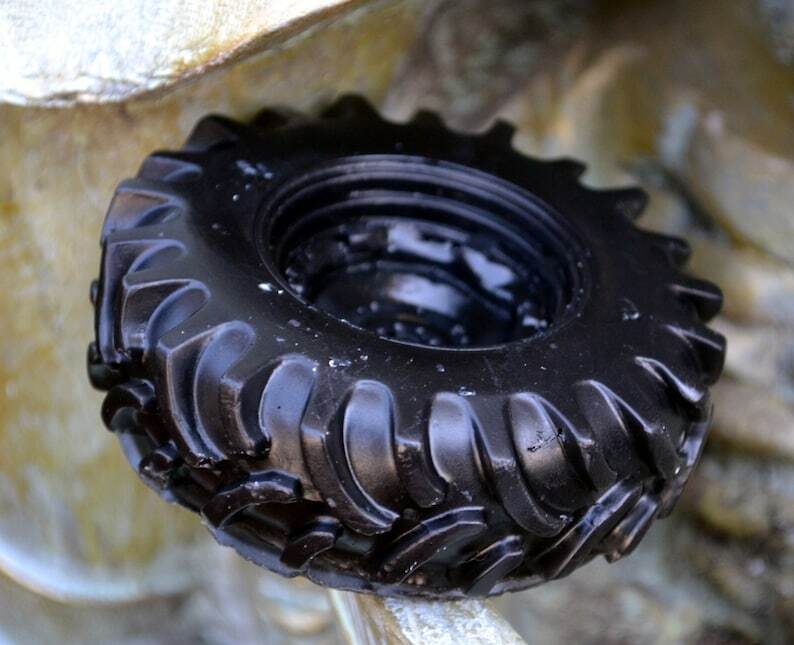 You'll receive 1 black tire soap in this listing. Choose from our Clean Cotton Linens for him, or Cotton Candy for the kids. Want to make this even more fun? Our Dirt scent would be a great way to put a smile on their face when they take a sniff! Wonderfully unique gift idea for the auto enthusiast! Great for party favors, too!